It always feels good when you find just the right card to celebrate an occasion, doesn’t it? In fact, some of us will spend hours at the rack trying to find the perfect sentiment for our loved ones on their birthdays, wedding days, and other exciting life events. But, what about the other days of the year? You know, when they are facing the daily ups and downs of life? Shouldn’t we be just as much of an encourager on a normal Tuesday as we are on a special occasion? As Christians, we are called to encourage, love and build each other up. Sending a card is a simple, inexpensive, and very meaningful way to love like Jesus. 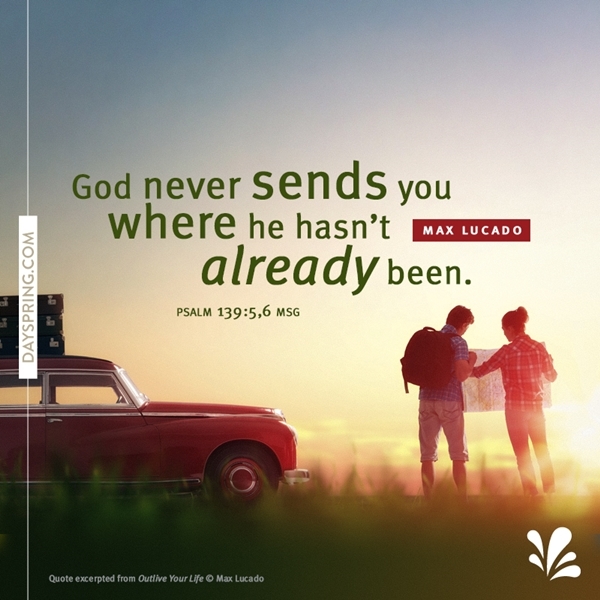 Below you will find some out-of-the-box reasons to send a card—reasons that don’t necessarily require balloons or party hats, but will bring us closer to our Christians brothers and sisters as we learn to lean on each other in our day-to-day messiness. 1. Be thankful for one another. Opening your mailbox to find a thank-you note is always a pleasant surprise. Thank-you notes used to be an art form, and now they’re more like rare treasures. It’s very classy to send a thank-you note for gifts you’ve received, events you’re invited to, or when a friend does something kind. Oh, and don’t forget, if you’re on the job hunt, make sure you send thank-you notes to the people you meet at job interviews. It doesn’t take long to find someone hurting or going through a difficult challenge these days. Sincere, thoughtful encouragement can do wonders for both the giver and the receiver. Be extravagant with your kind words, and your relationship is likely to be blessed. With so many people needing encouragement, one thing I love to do is to post encouraging Ecards on my friends’ Facebook walls that have a memorable quote or sweet sentiment. And since it feels like pretty much every day one of my friends is either having a birthday or a baby or getting married, I can always post one on their wall so they know I’m thinking of them. 3. Trust God for and with one another. Apart from Jesus, there’s no hope. He’s the light for every tough situation. There are many greeting cards out there that point people to inner strength or will power. But the richest gift you can give a friend is to believe in the real source of hope. 4. Love one another (and that includes strangers). Some of the most impactful cards I’ve received have been from completely unexpected places - or people. Don’t underestimate the power of thanking the mail carrier, encouraging a pastor or worship leader, or remembering the birthday of a coworker. Honor is to see the value in a person and call it out. Every time I send a card to my 88 year old grandmother, I’m sure to get a phone call or handwritten note right back. I can tell she’s been encouraged and feels remembered - and that blesses my heart, too. Think of someone you can honor by spending a little time writing down what you admire and see in them that they may not be aware of. 6. There’s a time to cry, and a time for celebration. We’ve all dealt with the devastating grief that comes with losing a loved one. Every card, hug and casserole can be little reminder saying, “I know I can’t fix this – but I’m with you. You’re not alone.” And, let’s not forget the small celebrations (I still have the “Congratulations!” card for the day I got my braces off). We’re never limited by why to remind someone we love them - so think outside the box! 7. Build one another up. Sticks and stones break bones, and words do hurt - but they can also heal, strengthen, grow, encourage, and help. Let’s face it, some people are just better at words than others, but the beauty of greeting cards is that many times they say what our hearts were trying to communicate that we couldn’t come up with on our own. Then on top of that, every word you write from the heart is a genuine blessing that has tremendous meaning and can build someone up. 8. Pray for one another. When I send a card to someone, I pray for them as I drop it in the mailbox. You never know how your kindness and thoughtfulness will bless someone’s day on the other end of the mailbox. There’s so much power in believing God - together - for what He can and will do. 9. Keep the preaching to the pulpit. There’s a time and a place for heart to heart talks - but the most effective letters, notes, and greeting cards usually reflect the gentleness and generous heart of Jesus. It doesn’t have to be crafty or serious. It can be silly, short, sweet, rhymed or prose. Just let yourself be yourself, and your genuine caring will shine through. 10. Be Jesus to one another. You can ask “What would Jesus do” in any situation - but it might be more effective to ask Jesus what He is doing. I can want to show love to someone, but in the end, only the Holy Spirit can give me the insight I need in order to meet the needs of my loved ones. I always pray before I write a note in a card to someone, and I ask the Holy Spirit for a Scripture or word of truth for them. We are called to encourage, love and build each other up.